BIDOR, 24 Feb 2009: Orang Asli community leaders in Perak are worried that the state's recent political developments will signal a return to a disregard of their rights. "We feel concern and sadness at what happened. Where are we in all this? 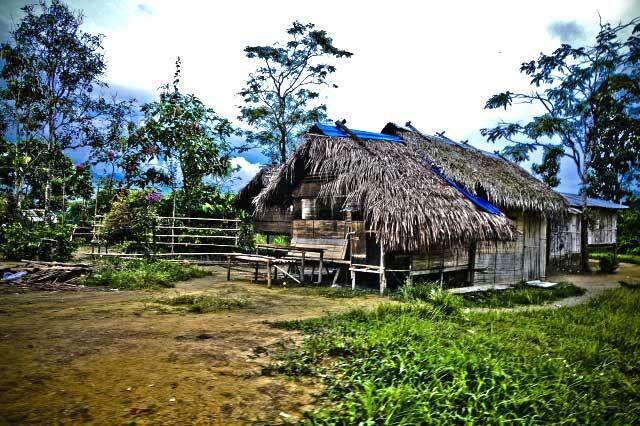 Will Orang Asli issues, that were hot in the last 10 months, once again be sidelined?" said Jaringan Kampung Orang Asli Perak (JKOAP) secretary Tijah Yok Chopil. Tijah, a Semai, revealed that in the days following the swearing in of the Barisan Nasional (BN)'s Datuk Dr Zambry Abdul Kadir as menteri besar on 6 Feb, several trees in the forest near Kampung Chang, in the outskirts of Bidor, had been marked with red paint for logging purposes. 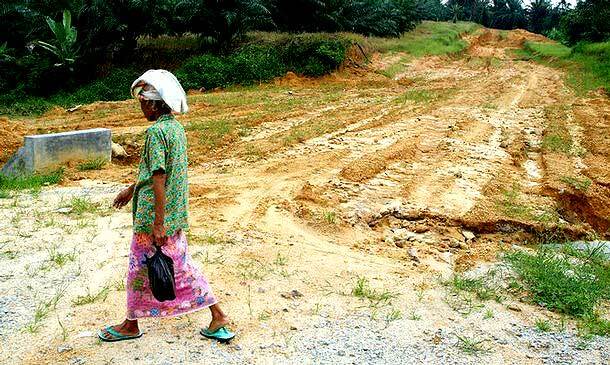 "There are helicopters flying around, surveying the land," she said when met here on 14 Feb.
A sand mining operation upriver from Kampung Pos Bersih, which was stopped only a week before, was restarted on 12 February, they added. "For 51 years we have not been treated as citizens, but squatters. 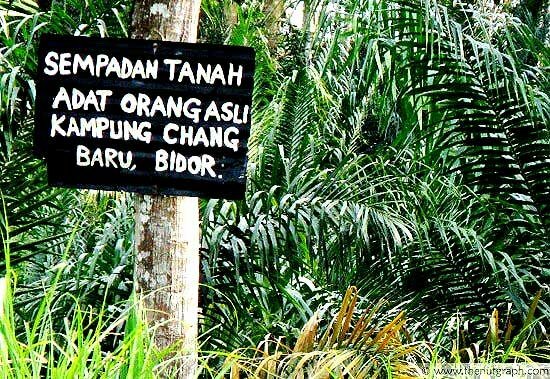 In our lands, no one lives there, according to the government," said Yok Pis Chenadang, a representative from Kampung Pos Bersih. He was commenting on the fact that Orang Asli are typically seen as nomadic, even though they have been living there "from before the British". "We are like people hung from the sky, not with our feet on the ground," Yok Pis added. Datuk Seri Mohammad Nizar Jamaluddin's 10-month administration took proactive measures to address the welfare of Perak's indigenous peoples. 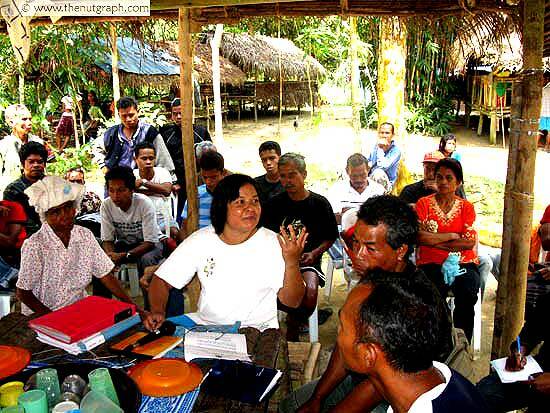 Perak's Orang Asli Taskforce Committee, set up in October 2008 under the PR administration, was also unprecedented. The body, chaired by senior state exco Datuk Ngeh Koo Ham and including representatives from the Orang Asli community, was designed to get as many Orang Asli territories issued with permanent titles as possible. Geographical and historical surveys of the Orang Asli ancestral lands were carried out with the taskforce's assistance. 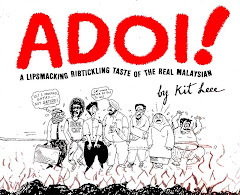 "Since independence, we have never felt like Malaysians. In the 10 months of the Pakatan Rakyat state government, we felt the promise of citizenship begin to be fulfilled," Tijah, who has been the taskforce's main liaison officer, said. She revealed that the PR state government's overtures were the first time her community had been invited to discuss, negotiate, and air their grouses as equals. Asked to comment about the possibility of the BN changing its 51-year-old policy on the Orang Asli to adopt the PR's policies, Tijah said: "We will appreciate that." However, Tijah said her community was not confident of that prospect. 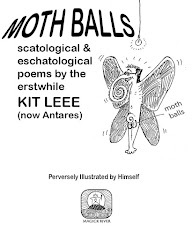 "We are not mocking, discounting, or threatening them. But we won't be surprised [if they stopped these policies]. Perak is now controlled by the 51-year-old government," she said of the BN takeover of the state. My deepest respect and appreciation to you for highlighting this issue, dear Antares. They are worth 48000 votes. Lets get them registered as voters and get najis booted out of Perak. It is so sad to learn that these humble folks - the genuine Bumiputeras - have so much set against them ! So much for NEP !!! Yes, let them register as voters! Thanks for highlight the plight of these who really are the sons of this soil! BN rule is bad anywhere!! 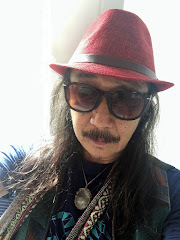 Thye have trampled on all minorities and ignored the fact that the Orang Asli are the real Bumiputras in M'sia while others s bt tweaking the Constitution and spindoctoring semantics!! 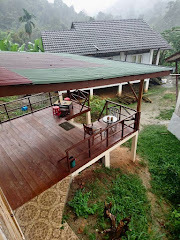 The Orang Asli have been bullied into semi- or non-entities, half dangling between heaven and earth. Nizar's bumism is much more compassionate than all the hollow mantra of supremacy of race and religion. He recognises that there is people walking and living, not hanging in space, above the bumi. The simple truth that Orang Asli is an orang has been forgotten for the past 51 years. Met a PKR rep a couple of days ago for an update on the situation; am optimistic that the public anger and Pakatan strategising can keep the political temperature in Perak high enough to force the dissolution of the state assembly. The royal family's taken itself out of the equation with that foolish decision by the sultan; now it's up to the people to force the change themselves. So far the indications are good: public anger is high, memories are fresh and the bitter smell of betrayal still hangs in the Perak air. No amount of BN spin is going to work on that. wonder what pemuda umno will do ... will they do the gangsterism thing to orang asli too? heard they are very frustrated when some states fell to the opposition.